It is quiet out there, Fabregas might stay after all, Clichy gone? Fixtures shouldn’t be a concern! When I had last posted on my blog we were close in on Gervinho, Cahill, and Samba. A week later, a week into my vacations, we are still nowhere (or somewhere that only Arsenal can tell). Many have reported that they are done deals and I am hoping this really is the case but the silence from the Emirates is deafening. I have been waiting for an official Statement but nothing has come out yet. Do they want to give us a surprise? Or are they waiting for 1st of July? I do hope it is a good surprise. Even the tabloids have gotten bored with the stories and now many have started asking questions. I believe in one thing though that if we have reached an agreement on the above players than there can be no stopping them in moving here. If, however, it was all speculation, we can forget them. Expect to see only Gervinho arrive as he is from the French League. While keep everything crossed for Samba and Cahill as their value has gone up and Man City and Tottenham are all also getting involved. And with 8 days to 1st of July, a lot can happen as within football things change within a day. By the way, what were they thinking when they linked us to Barton, Odemwinge and Taarabt. Eto sounds interesting but I know it will never happen. It also seems that they want Fabregas to put in a transfer request so that he can be acquired for less money. Well Mr Sandro, you can forget about Fabregas for now and forever for one, you don’t have the money and two, Fabregas is happy here and he won’t give in a transfer request. And after your comment no sane man will as you don’t appreciate his quality. I hope Fabregas does realize that Barcelona don’t want him and that the best thing to do now would be forget about Barca and play like a true leader for Arsenal and guide us to trophies. And in return Rosell will get to know the true value of Fabregas. There has also been progress on Clichy’s situation with Roma showing interest in him. The value that is being quoted is £7-8 million. Although this is better than what Liverpool were offering but still in my view it is less. And I am astonished that the value of our players is so less considering a certain striker went for £35 million who isn’t better than Bendtner IMO. The replacement for Clichy is a bigger concern though. Gibbs is in no man’s land, Traore is not better than Clichy, Enrique, with whom we are being linked, seems fine, Leighton Baines might do well. The rest is up to Wenger as to who he has in his mind. Else force Clichy to extend his contract as I have been saying all along. Nasri’s situation has also gone quiet. And I still haven’t figured out what the real issue is. Is it money or trophies or is it his position? A month has passed since we played our last game of the season and still we haven’t sorted out one of our best player’s issue. And I can’t help it but ask what the hell are the people at Arsenal doing? We haven’t bought anyone! we haven’t been able to sell anyone! what really are we doing? Maybe I am getting impatient but seriously by now a decision on Nasri’s contract should have been taken! Meanwhile, the fixtures have also been released for Arsenal for the next season and I had a smile when I went through the list. I was smiling because we have all the difficult fixtures in the first half of the season. No doubt the month of August is difficult but we always have a good start to a season and I am hoping we will be having another good start. However, it is a long way to go and it shouldn’t be a concern as a season doesn’t depend on the fixtures, it depends on how you play. Before that we need to address the issue of our players and our team. Just over three weeks to our first game of pre-season before which we need to sign players so that they can gel-in and adjust with our style. Before I end, WTTGT is reporting that Clichy has been sold to Paris St. Germain for £10 million. This seems bizarre to me. For now we can only wait and see what happens in the next couple of days. Have a good day! Samir Nasri and Gael Clichy are both approaching the final year of their current contracts and Wenger is hoping that they both will extend their contracts this summer to avoid what happened in Flamini’s case. Mathieu Flamini left on a free transfer, three years back, after letting his contract to run down, a mistake Wenger is hoping to avoid with both Clichy and Nasri. Arsene Wenger is aware of the importance of both the players and his priority will be to secure their services or else, I fear, they will be sold to the highest bidder. Both of them have already been linked with a few clubs. Samir Nasri has been a vital player for Arsenal this season despite fading away in the latter stages of the season. It will be a hard time in finding a replacement for the Frenchman, if he doesn’t sign the contract. The immediate danger, however, will be of losing Clichy as there is no one at the club to fill his place with Gibbs far from being the finished product. A replacement for him will be more than necessary if he doesn’t sign the contract. Personally, I want them both to stay. If not, then they better decide it early so that we may have ample time to replace them. We suffered a lot by letting Flamini go and to be honest we haven’t yet replaced him. So it’s back to the Premier League after two disappointing cup ties. Before the Leeds game I said that these cup matches came at the right time as our players can have rest and some like Ramsey will get the chance to up their match fitness. What happened is in front of you all with no results in our favor. But as always we have to move on and start afresh. Tomorrow we have an opportunity to bounce back as we face West Ham at their home. Despite them being bottom of the table, this won’t be an easy game. They are coming on the back of an impressive win against Birmingham in the other semifinal of the Carling Cup and they will be pumped up. They will no doubt fancy their chances after seeing us play the way we played against Ipswich Town. However, if we take the game seriously and perform well, it shouldn’t be much of a problem. Scoring goals will matter because lately we haven’t found the net. The more time we take to score our first goal, the more West Ham will grow in confidence. They will for sure park their busses and try to hit us on the counter, so it will be up to us to break them down and score and not give them chances to counter attack. As far as the team is concerned, there won’t be many changes for this one. With Fabianski injured, Szczesny will remain in goal. The back line will also remain the same as from last match with the only change that Clichy should come in for Gibbs. In the middle, Song will return to partner Fabregas and Wilshere. Upfront Nasri and Van Persie after their rest are also going to start and Walcott will retain his place. No matter how we played in the last two games, I, as always, expect us to win. We can’t afford to drop more points in the Premier league so this is a must win game. With Manu playing against Tottenham on Sunday, three points tomorrow will put more pressure on Manu. Hopefully, we will get the three points and Tottenham will do the rest. Keep your fingers crossed and enjoy the match!! After playing four games in ten days in the League, it’s time for the third round of The FA Cup and we start this seasons campaign at the Emirates against Leeds. This game comes at the right time as we need a breather from Premier League. Also most of our squad needs a rest and our returnees from injury an opportunity to up their match fitness. This in no way means that we should take this match lightly, as it is also one of the trophies that we can win despite tomorrow being just the start of it. Last season Leeds were very impressive as they surprised United and took Tottenham all the way before bowing out. So we can expect nothing less than a determined approach to the game from them. Still, I believe that whatever team will be put out , we will be able to get a result in our favor, provided we stick to our game. For the starting lineup, Wenger has already confirmed that Van Persie and Nasri will be rested for this one and he will make plenty of changes. As far as I can see, it will be a team similar to the one against Wigan. The back line will comprise of Koscielny and Squillaci, who was absent in the last couple of games. Djourou won’t be risked for this one for sure. As Sagna is suspended, Eboue returns to occupy the right back position and with Gibbs also back in the squad, he will occupy the left back. Szczesny should start this one at least!! In the middle, Denilson will return. To partner him I would go with Song, as Wilshere has played in almost all of the last four games. Though, I wouldn’t be surprised if I see him in the starting eleven. Rosicky to occupy the playmaker role. Upfront, Chamakh should start, and this time we need a performance like he was giving before December. Arshavin and Bendtner to flank him. Last time they didn’t connect well but I hope this time they do. Probable starting XI: Szczesny, Eboue, Squillaci, Koscielny, Gibbs, Song, Rosicky, Denilson, Bendtner, Chamakh, Arshavin. There are reports that Ramsey will also be in the squad, so maybe we will see him later in the game. I hope he does get a few minutes. As far as the match is concerned, just keep to the way we have played against the likes of Birmingham, Chelsea and City and we will see this through without much fuss. 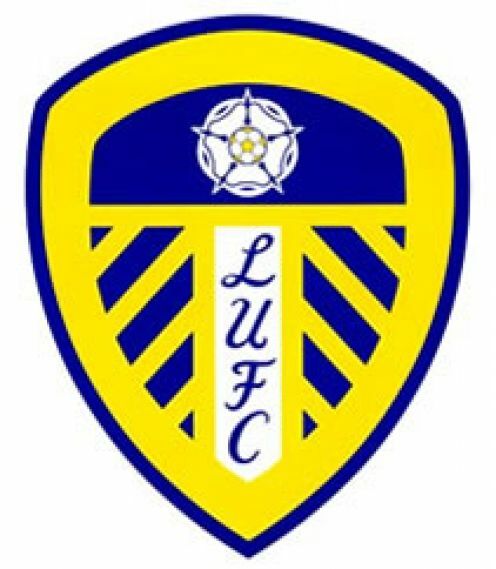 One more thing, kill this game early, as the more we delay in doing it, the more Leeds will believe in getting something out of it. A repeat of this is what we can avoid if we get a result and that will be one fixture less from the fixtures for January. A couple of goals will be enough to seal this one and it will be good if we get another clean sheet.